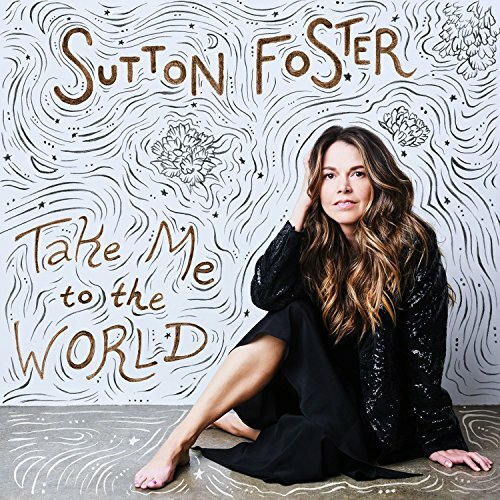 Sutton Foster is a two-time Tony winning actress, singer and dancer who currently stars as Liza in the critically-acclaimed TV Land series, Younger, which is returning for its fifth season on June 5, 2018. Previously, Foster starred in Amy Sherman-Palladino’s ABC Family series, Bunheads. Sutton is one of Broadway’s biggest stars, performing lead roles in Anything Goes, Shrek The Musical, The Drowsy Chaperone, Little Women, Thoroughly Modern Millie and many more over the past two decades. As a solo artist, Sutton tours the country with her hit concerts. She has also graced the stages of Carnegie Hall, Feinstein’s, Lincoln Center’s American Songbook series and many others. Featuring her signature vocal stylings on classics written by musical theater luminaries including Stephen Sondheim (“Take Me to the World”), Cole Porter (“Ooh-La-La”), and Kander & Ebb (“A Quiet Thing”) as well as legendary pop songwriters such as Paul Simon (“Old Friends”) and James Taylor (“You Can Close Your Eyes”), Sutton’s long-awaited third album, Take Me to the World, takes listeners on a personal journey inspired by the birth of her daughter. Sutton, a faculty member at Ball State University, has enlisted the Ball State Symphony Orchestra and other BSU students for this recording in a special partnership, with longtime collaborator Michael Rafter producing.